Where grass grows on soil of any type the health of the turf/soil eco-system can be assessed by looking at the thatch layer. 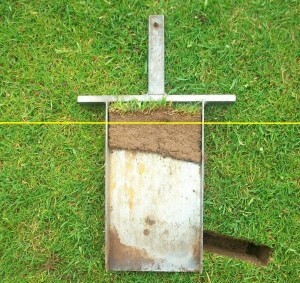 On grass areas where there is little or no human interference in the form of excessive compaction, fertiliser, pesticides and mechanical work (other than mowing) such as in meadows or parks the thatch layer will almost always be at the optimum level for a continued healthy turf/soil eco-system. This is due to the soil/plant relationship being in balance; a strong and sufficiently lively soil microbe population releases nutrition from the thatch layer as it decomposes naturally. 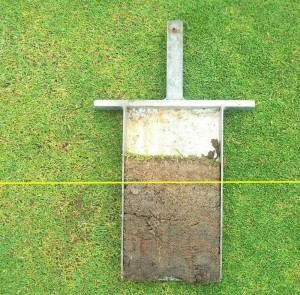 As we move to areas that are subjected to progressively higher maintenance and wear activity, the thatch layer is susceptible to becoming thicker and denser and therefore needs more intensive management if the turf/soil relationship is to be kept in balance. 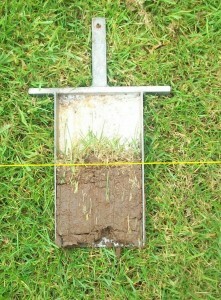 This can be observed by taking samples from a variety of grassed areas and comparing them to your bowling green’s thatch layer; rough meadows and areas such as the roughs on golf courses being the most natural and healthy areas and greens usually being the least healthy and in need of the most remedial work to keep them right. When turf is used for bowling or other activities, the soil becomes compacted which is literally the expulsion of air from the soil. This throws the natural balance in the turf/soil relationship and makes it necessary for us to intervene to correct things.It is important to remember that thatch is always being produced and the more vigorous and intensively used and managed the turf is the faster it produces thatch. The desireable fine bent grasses and the common weed-grass, annual meadowgrass are prolific thatch producers. If we don’t do the right things to correct this effect or indeed if we don’t do them often enough the green can very quickly fall into the circle of decline we looked at in an earlier article. I’ve just been looking at your photo’s of thatch from parts of a golf course. Even though you talk in your books and articles about depth of thatch I had no idea that it could be so thick and appear as part of the soil itself. When we took core samples ( with an apple corer in the absence of any proper kind of tool) last year, we were only after info on the ph of the soil. We never thought to ask about thatch. What is the tool you used and is it possible to hire them?